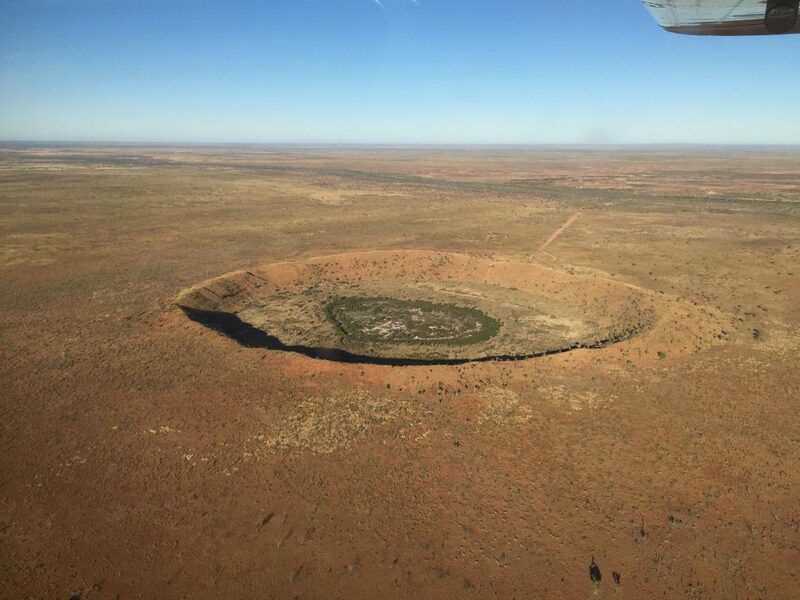 With a Focus on Western Australia our new sites continue to grow and promote your business nationwide. 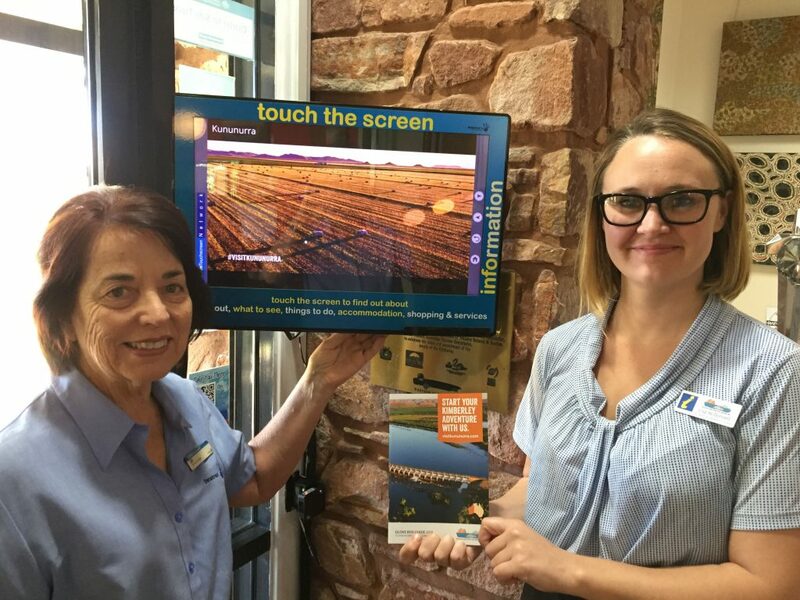 Top End WA, Kununurra VIC Sales and Marketing Lisa McDonnell showing off the Touchscreen working hand in hand with the Glove Box Companion Guide, with Jill Buckley left Training Manager, Our focus during June has been in WA as our team services the entire network. 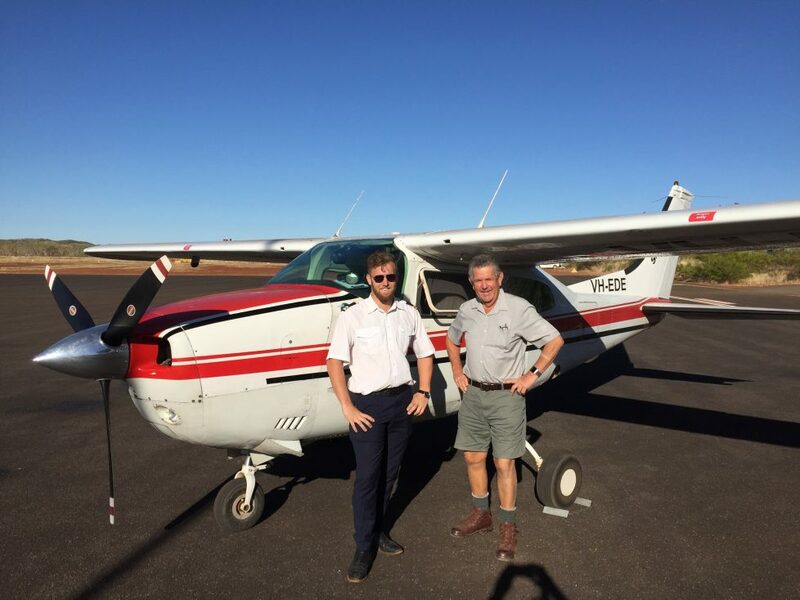 Some great images from our Installation Crew as they serviced a massive tract of Australia from Kalgoorlie to Kununurra. 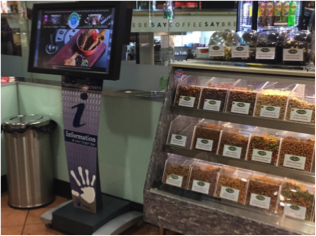 Pot Shot Hotel upgrades to our Quest Touchscreen. 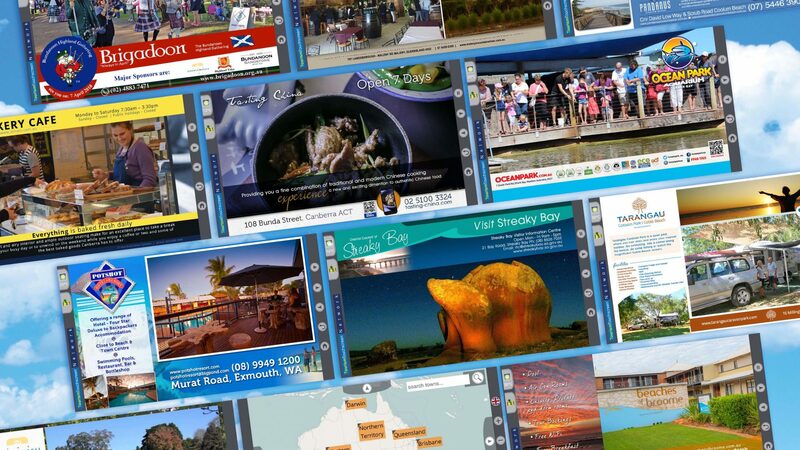 An Iconic business in Exmouth WA, and a client with Datatrax on the TourismTouchscreen Network for over 12 years. 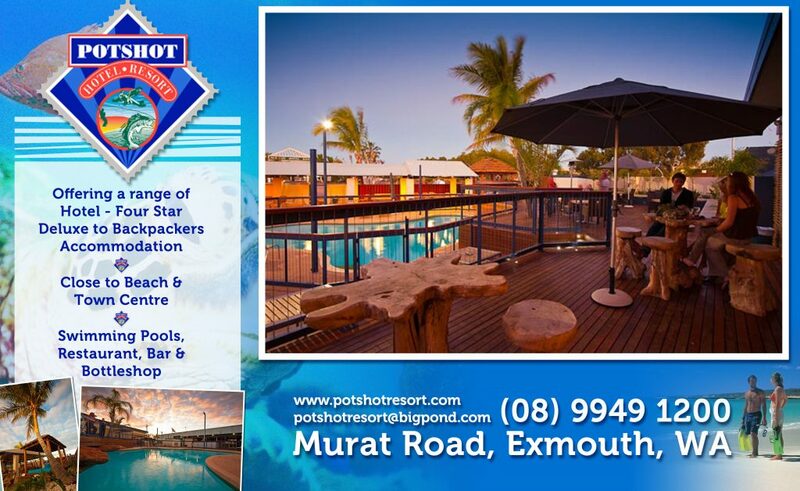 The fabulous Potshot Hotel Resort has given us the support by signing on for another 2 years and by choosing to upgrade hosting their own Quest TourismTouchscreen. 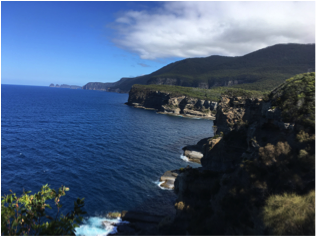 This benefit the Tourist and further promotes the many facets of their business when guests arrive. 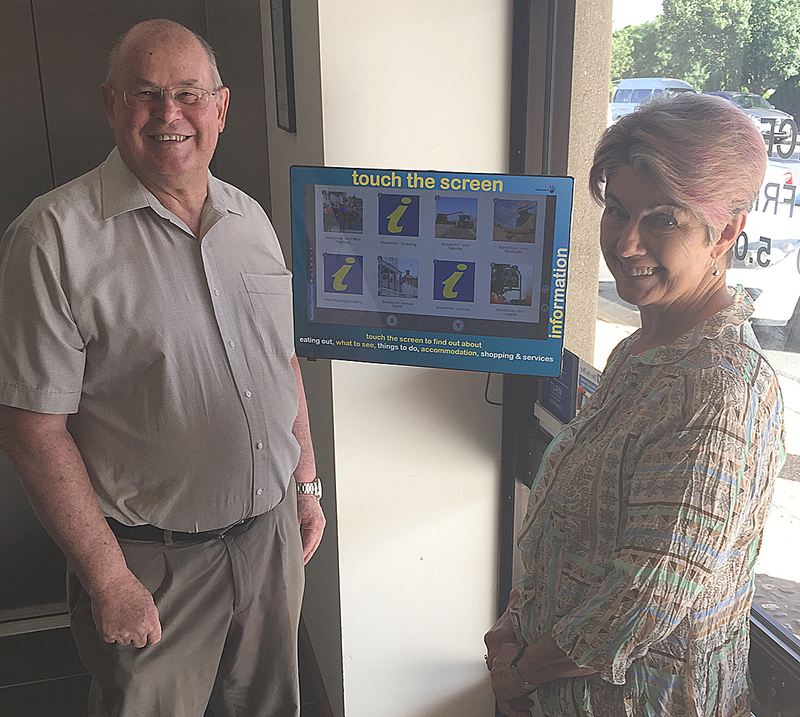 Tourism Touchscreens Launched in the Bland Shire Council supporting local business in the West Wyalong Region. 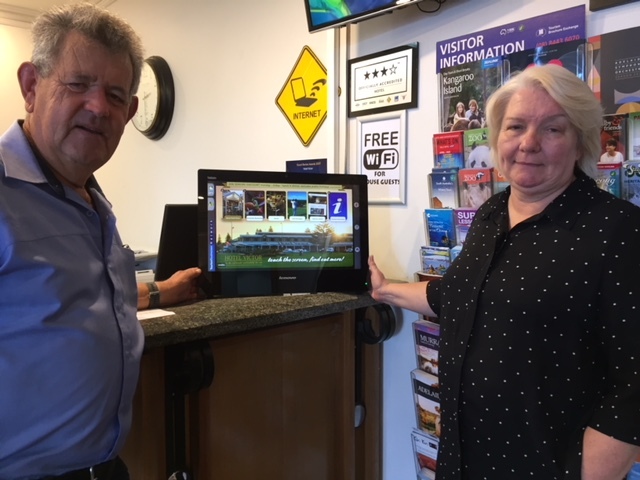 West Wyalong (Bland Shire) Mayor, Tony Lord, and Deputy Mayor, Jan Wyse are pleased to have launched the latest Datatrax Tourism Touchscreens, and “Take you there” App. 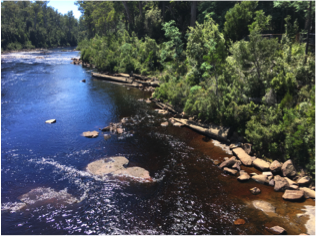 Every one of the 500 rooms in the shire will receive in room compendium flyers, to download the App as part of the initiative with Datatrax. 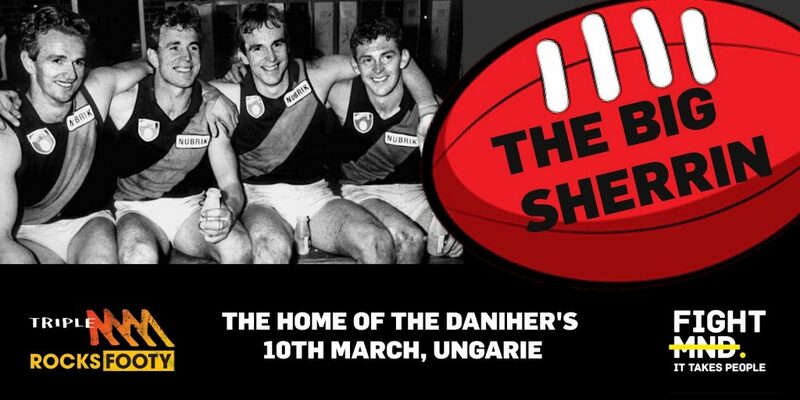 Stickers will be placed on windows across businesses in the shire. 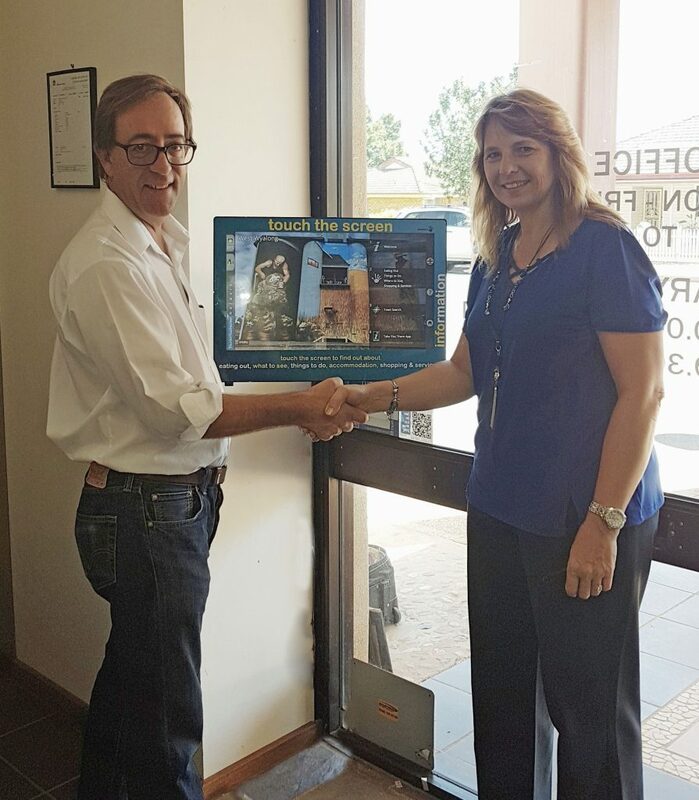 Elaine Marshall, Owner at Exclusive Hot Glass, has taken advantage of the opportunity to support Tourism to acquire an additional Touchscreen for her Business as it is on the highway into town. 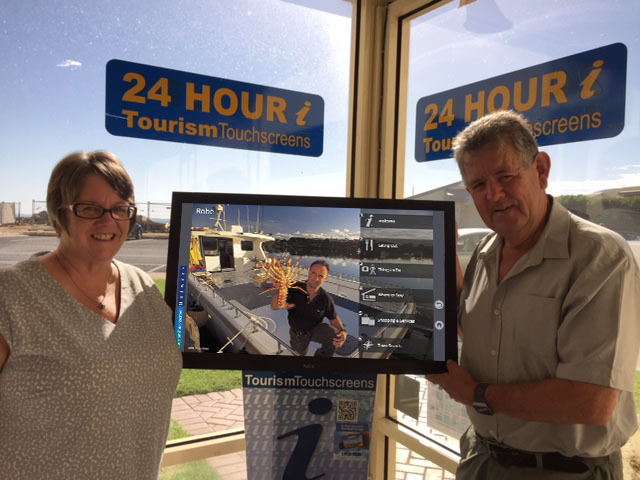 Users in her business can view first hand what the tourism Touchscreen Network has to offer. 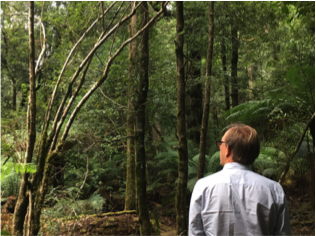 Get in touch with us today to see what we can do for your business. 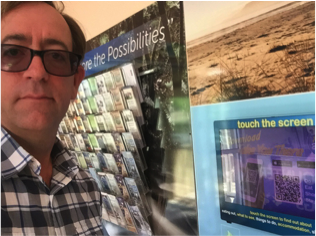 Tourism Touchscreens CEO Paul Buckley visits some important sites in Tasmania. 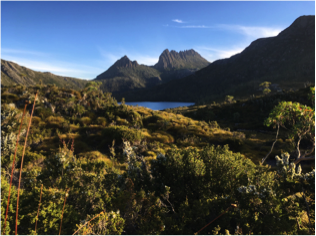 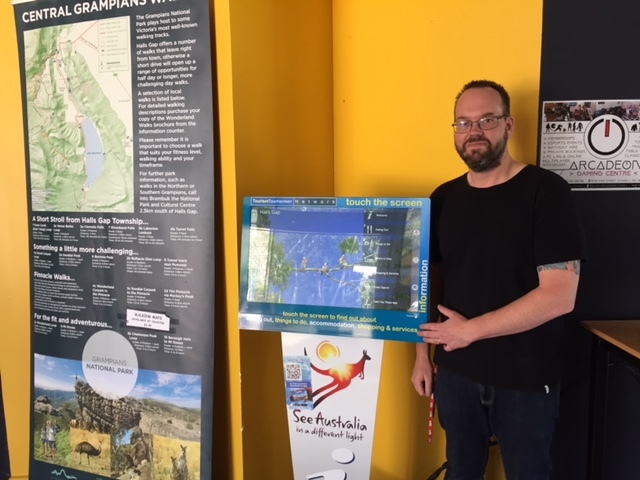 Here is a taste of important sites in Tasmania Tourism Touchscreens CEO Paul Buckley visited during a trip in February this year: Sheffield & Cradle Mountain, Huonville, Centerpoint Hobart, Eagle Hawk Neck, Zoodoo Richmond. 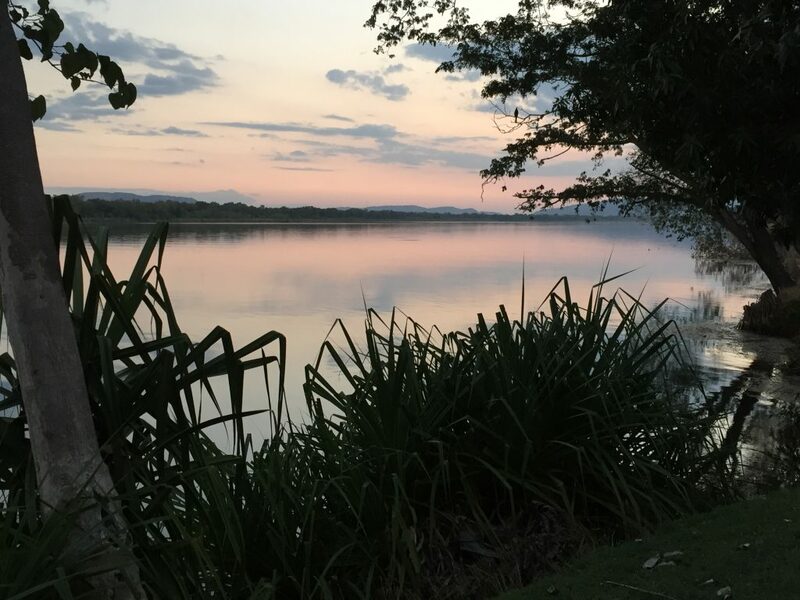 Download our App “Take You There” for your next break.